Rely on the Spaceman 6378AH high capacity dual hopper soft serve ice cream machine to serve tempting ice cream to happy customers! This machine can serve up to 80 quarts per hour, or 425 six ounce servings of soft serve products like: ice cream cones, custards, frozen yogurt, or even sorbet. This machine’s easy-adjust air pump creates a fluffier cone, and allows you to easily dial in overrun and profits, while making your ice cream mix stretch farther. Dual digital controls independently allow precision control of each flavor's hardness. 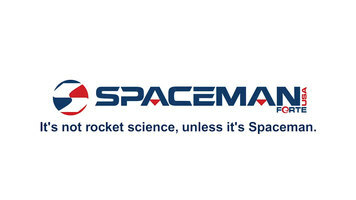 Only Spaceman USA machines have 3x patented freezing technology for the fastest freeze times and lowest energy costs per serving. This ice cream machine’s special features include a refrigerated hopper and hopper agitator, which always keep your product at the right temperature. This machine also has multiple user and safety features including standby mode, low mix indicator, serving counter, temperature and viscosity display, over-freezing protection, and cutouts for motor overload or high pressure. Make your establishment a go-to summer ice cream spot with the Spaceman 6378AH soft serve ice cream machine! The Spaceman 6378AH high capacity dual hopper soft serve ice cream machine combines durability, speed, and quality to make serving ice cream a breeze! This unit serves up to 80 quarts of ice cream per hour, while featuring a low mix indicator, digital controls, the fastest freeze times, and the lowest energy costs per serving. Check out this video to learn more! Watch this video to learn how to properly disassemble your Spaceman Ice Cream Machine. 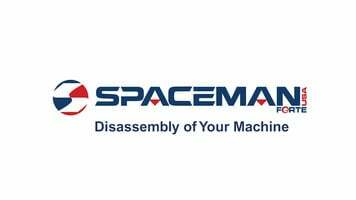 This video provides a detailed demonstration of how to clean your Spaceman USA Ice Cream Machine.